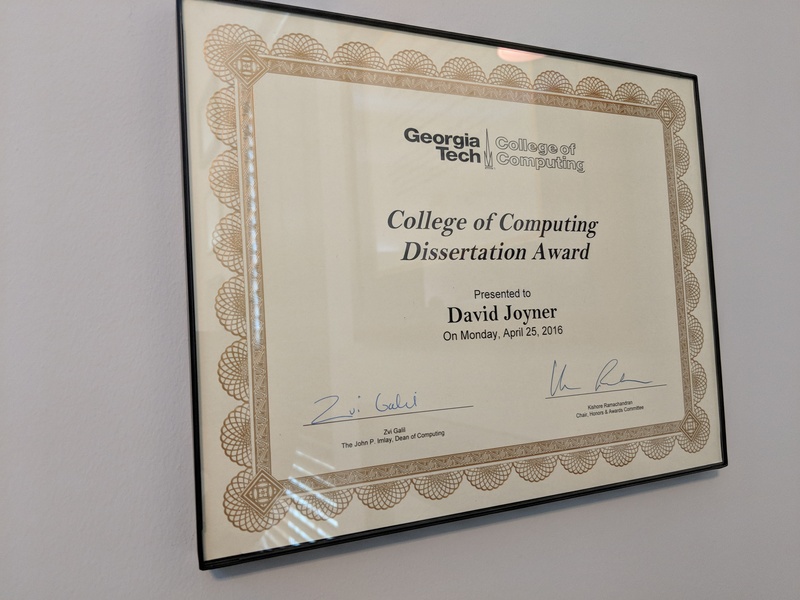 I’ve won the 2016 College of Computing Dissertation Award! 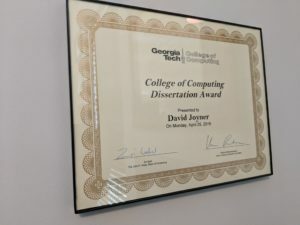 In the excitement about last week’s award, I forgot to mention the other one: I’ve also been selected as the recipient of the 2016 Georgia Tech College of Computing Dissertation Award, for my dissertation “Metacognitive Tutoring for Inquiry-Driven Modeling”. I’ve also been nominated for the ACM Doctoral Dissertation Award. Sincere congratulations Dr. Joyner! Very well deserved I might say. Previous Previous post: I’ve won the Lockheed Excellence in Teaching Award!